Hi Everyone welcome to the blog hop you should of just came from Courtney's kute krafty blog if you did your on the right track !! I wanted to do something a little different than the traditional "Thank You" card. I made a distressed Easel card it says "Hay there" " You're a doll". I also used a few punches, my Peachy Keen Laughy taffy stamp set, Swiss Dot Cuttlebug folder, ink, bakers twine, stickles, Pink by design stamps and a distressing tool for the edges of the card! Thought I'd share some sweet after Christmas deals I found !! Joann's now has Christmas 70% off 12x12 paper stacks are $5.99, mat stacks $2.99 (I got the ones that are all GLITTER) and packs of 40 cards with envelopes also $2.99 then they take an additional 10% off for my VIP card !!!! (If your a circle member see below how to get one) They also had chipboard letters and a box of tags which I did not buy. I went to Target and picked up this gorgeous 100% turkey feathers in their Christmas stuff at 50% off, thought it would look cute on a card it is oh sooo soft !!! At Michael's I got American Crafts pens for $2, Recollections stamps for $2 and beautiful stamps for $5 for both sheets! So wondering how to get your VIP card? If you haven't heard go to Joann's.com apply to be a VIP member. Insert "Cricut Circle" under organization. In a few weeks you receive it in the mail. When you do take it with your Cricut Circle certificate to activate. The card is good for an entire year !! This card gives you an additional 10% off everything !!! Whoo HOO !!! At my house Santa fills our stockings and leaves one unwrapped present. This year I found these big ADORABLE felt bags 30"x 21" at Michael's for $1.49 and thought they would be great to leave out for Santa so he could place the present inside the bag!!! It also has a draw string to close the bag. I finally used my Yudu, but only had one emulsion sheet so I used vinyl and cut it in flip mode. I then applied it to the back. Then just turned it over and used the squeegee and paint to write the names !!! I think they turned out great! I used Winter Woodland for the font. This is the front right before I put the paint on. I know everyone is super busy! I'm so happy for many reasons !!! 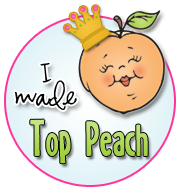 First I was picked as a Peachy Keen Guest designer for 2011 !!! It's a dream come true!! I will be designing for an entire week in August !! whoo hoo! I'm also happy that my house is in order, Christmas presents are done and wrapped, now just to enjoy my kids and some holiday baking. I wanted to share what my daughter Lily (5) made. I saw this on someones blog and now cant find it to give her credit :( I LOVE this because my daughter did everything except for taking it out of the oven !!!! She is so proud of herself. Here are her turtles, only 3 ingredients! little pretzels, rolos and pecans! 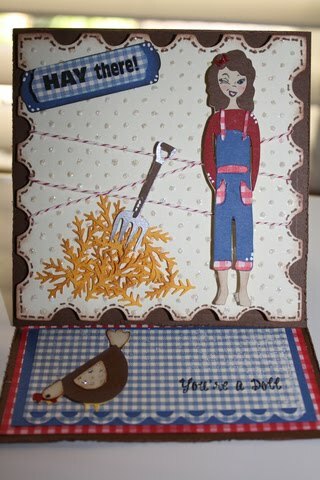 If you haven't heard the creator of Peachy Keen Stamps Kathy has a birthday today !!! So Happy Birthday!!! I LOVE PK stamps and so does my daughter she wants to put a face on everything so I thought I would share a card Lily made with Peachy Keen stamps and Simply Charmed! Thank you Kathy for creating such awesome stamps they really help to make our projects cuter !!! Hi Everyone thanks sooo much for stopping by, and participating in the Fantabulous Cricut Challenge Blog Hop! I know everyone is busy with the holidays! I will keep it short and sweet! Hopefully you just came from Melin's super cute blog Cooking with Cricut. If not you can start from the begining HERE! You really cant see my project in a picture so I did a quick video just to show you what I did! I used Winter Frolic, Winter Woodland, and Winter Lace Cricut Cartridges and Winter Faces and Happy Lashes Peachy Keen Stamps !!! Are you ready some Football ??? 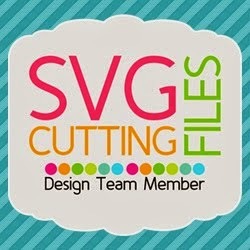 Over at the Fantabulous Cricut its all about gift giving this week. So if your making a gift for someone using your Cricut you have till Sunday to link up your project! 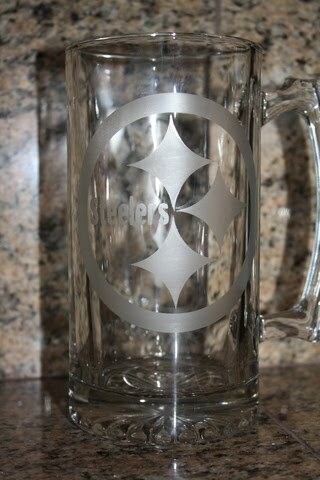 This is a mug I made for my Father-in-law for Christmas he is a huge Steelers fan and since Provo Craft does not have any NFL cartridges I created my own from Cartridges I already own! Today I have a little scrapper in the making, my daughter Lily! Those of you who don't know she's a big kindergartner. This is a card she made for her great Aunt. She used Winter Frolic, Winter Lace ,Martha Stewart glitter, and a MPS stamp. I am official floored !!! One of my followers (aka: my top stalker..lol) sent me a package in the mail.....and I am shocked !!! I had sent her a vinyl bug head for her machine because she always makes comments on my facebook page and blog which I truly appreciate!!! So she had my address, what a suprise Im so grateful. Stefani wrote the sweetest notes...yes she wrote 2 cards LOL...and MADE these bows !!! She knew I have 2 little girls that wear stuff in their hair everyday.. arent these GEORGEOUS? OMGolly Gosh !!!! She also sent me some scrapbooking goodies to play with !!!!!!!!!!!!!! I really am truly grateful I dont know what else to say Im still shocked that people are so kind. Thank You again Stefani............... here are pics of my goodies !!! This weeks challenge at Peachy Keen was to make an encouragement card. Since I stood at Walmart for hours guarding the cricut display like a hawk I decided I needed to get some use out of this cartridge LOL. I used Jolly Holidays for the gingerbread men, Holiday Cakes for the border/mats, Tags Bags Boxes and more for the tags and Mini Monograms to overlap the gingerbread men to create "bite marks"
For the first two gingerbread men I used the Peachy Keen Everyday Assortment set and the 3rd one is from the Baby Faces Assortment set !! !